What makes man-management an indispensable aspect of football? When this young, diligent and charmingly handsome Portuguese man touched the shores of England in the summer of 2011, there was little doubt about his tactical nous. He looked uncharacteristically youthful for a football manager, but his detailed and almost computer-like brain had already orchestrated numerous footballing triumphs - somewhat defying the odds which were stacked heavily against a manager who lacked the grey hairs. A former opposition scout, Andre Villas-Boas had worked his way out from the 'invisible' backroom staff to the glitz and glamour of European Football - standing now as one of the most promising managers in the footballing circuit. A kind of achievement that brought inevitable comparisons with another one of a kind manager and his own former mentor - a certain Jose Mourinho. In his very first season at top level football, the then 32-year-old had led the Portuguese giants FC Porto to an unprecedented treble - lifting the coveted Premiera Liga, Portuguese Cup, and the Europa League. It was a remarkable feat - as he remained unbeaten throughout the length of the league season. So, it was time for the next big step and as London came calling, Villas-Boas decided to move to English outfit Chelsea under the watchful eyes of an ambitious yet ruthless Russian owner; Roman Abramovich. It was a step that was also followed by his mentor Mourinho, back in 2004, and if any talks of comparisons were brewing under the carpet up until now, it had finally gathered full momentum. However, in his very first press conference in London, Villas-Boas struck an image quite contrary to his former boss. Mourinho, in his initial media interactions as a Chelsea manager, had pronounced himself as a 'Special One' - flaunting a rather arrogant and cocky personality and instantly grabbing the imagination of the English media. But the headline makers were to be left disappointed this time around, as his countryman refused to be drawn to the flamboyant ways of his former mentor and went on to call himself the 'Group One' instead - stressing on the importance of working together on the tactical aspects and plans. It looked evident that here was a man who lacked Mourinho's combination of footballing genius, coupled with showmanship. Rather, he resembled more like a 'footballing machine' - someone whose sole aim was to dwell in the intricacies and technicalities of football. Little did one know then, these were only the very first signs of Villas-Boas being everything that his mentor Mourinho was not! He promised a more fluid brand of football at Chelsea - a brand that could replicate the success of the then world's best team Barcelona. Plans were drawn up, formations were chalked and sleepless nights followed for Boas. He would soon realize that to implement his long term project and ideals, he needed to do away with the old guard - a group of ageing yet highly successful players in the Chelsea squad who once formed the backbone of the Mourinho era. He believed these players were misfits for his high-tempo possession game. No sooner did the season start, he immediately began alienating these players - most notably the likes of Frank Lampard and Ashley Cole. He had a point of view and perhaps his plans were near-perfect; carefully chalked and drawn up after months of analysis. Yet seven months into the season, the club was embroiled in a dressing room unrest. On the pitch, results eluded them, and following a defeat away at West Brom, the impatient owner had had enough! 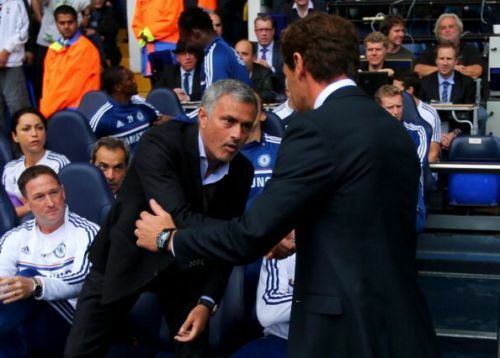 Andre Villas-Boas, the biggest managerial prospect, the next Jose Mourinho, was sacked - unceremoniously! He was replaced by the assistant manager Roberto Di Matteo. A well-respected club legend as a player in the late '90s, his records as a manager were relatively modest. In fact, barely a year ago he was not deemed suitable - incidentally - at the lowly-placed West Brom; where he was sacked after a unsuccessful first few months as manager in the top tier of the Premier League. He hardly boasted the tactical brain of Villas-Boas. With no other big-name managers available for stepping up on an interim basis, Di Matteo was Chelsea's only option as they looked to resurrect a mid-season collapse and to somewhat control the damage in what had been a shambolic season thus far. 20 odd games later, Chelsea were crowned the Champions of Europe! So, what fashioned this remarkable turn-around against all possible odds? Luck, perhaps? Yes, to an extent. But there was a deeper secret into Di Matteo's success - a simple quality that outweighed what seemed like a lack of tactical proficiency. For beyond the computers and laptops and the machine-like approach of Villas-Boas, Di Matteo provided a much-needed human touch; giving not the chalk-boards in his dressing room the primary importance but the dressing room itself. He managed to integrate the dressing room once again and, regardless of their footballing deficiencies and the adverse impact they could have had on the proposed mechanical formations, he brought the discarded players back to the front, merely to win back the trust of the core of the team. 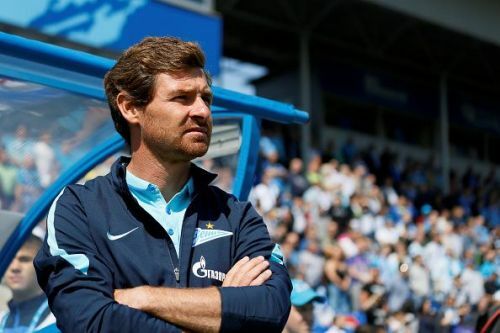 He did not hasten the transition that Villas-Boas tried to bring. And once the trust returned, so did the unity and so did the fighting spirit among the players. It certainly showed on the pitch. Although football, from the outside, resembles a very simplistic model - it is much like running and managing a business. In management, it is all about striking the right balance between the use of various resources at one's disposal. You might have all the big, fancy success models for the future - with all the financial and infrastructural resources in place. And yet you could lose the plot if you fail to manage the most elementary of all the resources - the human resource. Even Mourinho, for all the controversies he got into with his rivals over the years, had a unique quality about him. Regardless of everything, he stood for his players, he made them play for their manager and earned the respect of his players. That was one of the keys to his success. He managed to become a cult-hero wherever he went - a title that you would not regularly associate with a manager of a football team. It was this balance that Villas-Boas failed to strike at Chelsea, despite perhaps being equally tactically astute. He identified the need for change - which was a good trait to start with - but it was his approach that proved to be his undoing. He lacked Mourinho's ability to be "one among the players". In business terms, he failed to be a good man-manager. Well, perhaps, there won't be many better ways to sum up this very point. Villas-Boas failed to create this good team culture - something that eventually led to his downfall. Man-management skills may not be the sufficient quality to become a good football manager or a good manager in general. But it is indeed a necessary one.